We know its important that you see how your emails will be viewed by your audience, and that’s exactly what 250ok Design’s email rendering does. But did you know that 1 in 4* iPhone owners are viewing your emails on a cracked screen? How do you know if your hard work will be viewable on those cracked devices? 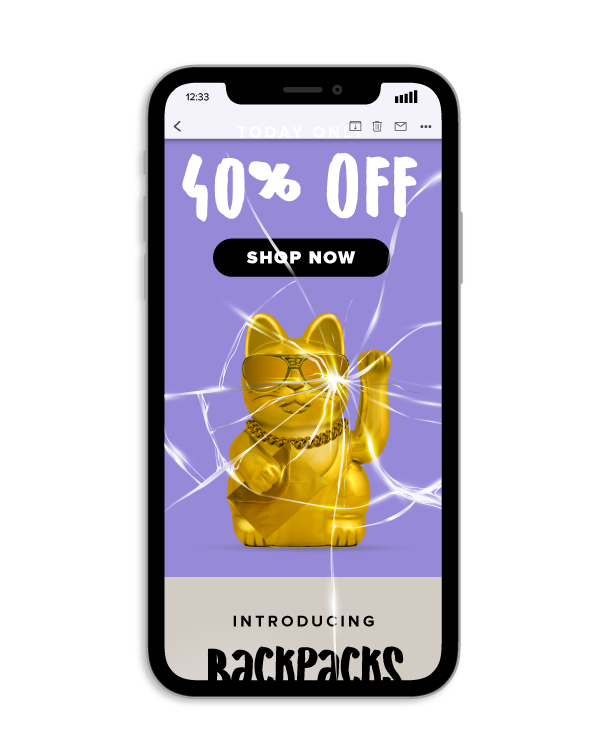 The cracked screen can be customized to reflect most iPhone models in use, ranging from the iPhone 4 to the iPhone XS Max, because butterfingers is a condition affecting all iPhone owners, from penny-pinchers to early adopters. Slippage does not discriminate across models, and neither do we. To get access to unparalleled scope in design testing, please call us at 1-800-APRIL-FOOLS.